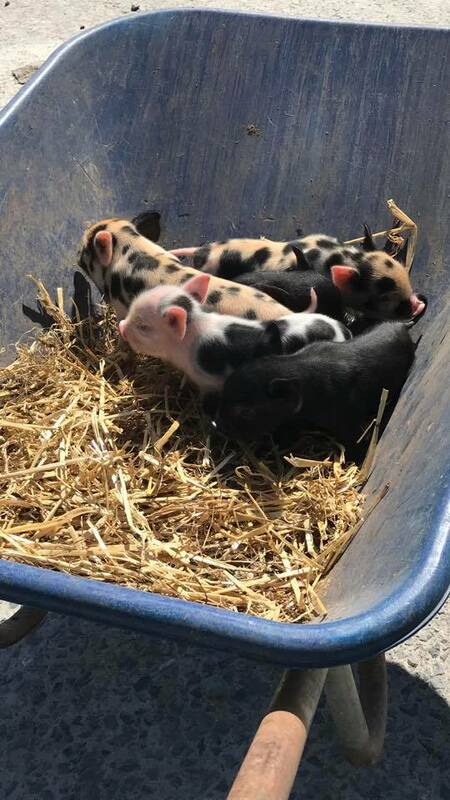 One of our Pigs- Patch has given birth to 12 of the most adorable piglets. This is now the fourth generation of pigs from the same family at Streamvale! We are wanting to get them as social as possible so we have started ‘piggy play time’ everyday. Our staff bring them out to the field for the kids to get a closer look and see them sniff around in the grass. We will also be lifting them up for the kids to stroke! This is now all our staff’s favorite activity! Hi just wondering how long piglet play will be running for? Hey for the rest of the summer!